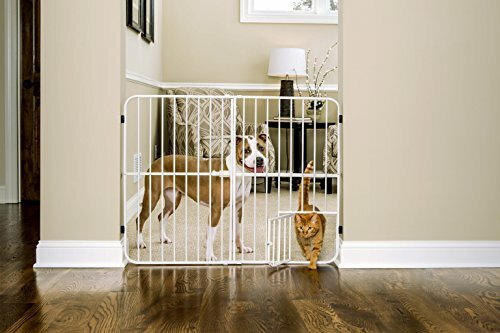 The Carlson Extra Tall Tuffy is an amazingly versatile expandable pet gate with patented small pet door. This all-metal expandable is the first of it’s kind. Expanding 26-42-inch wide and stands a convenient 32-inch tall. 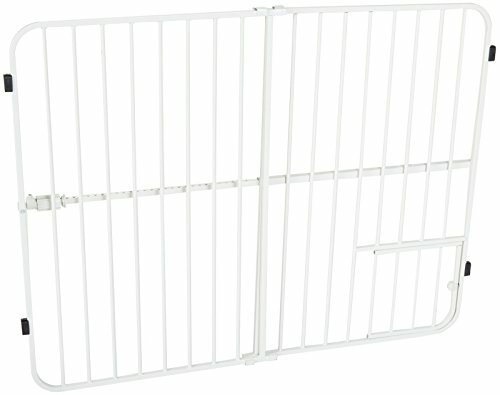 The metal frame is strong, sturdy, and durable making this gate extra secure and superior to plastic. Super easy to install, takes literally seconds. 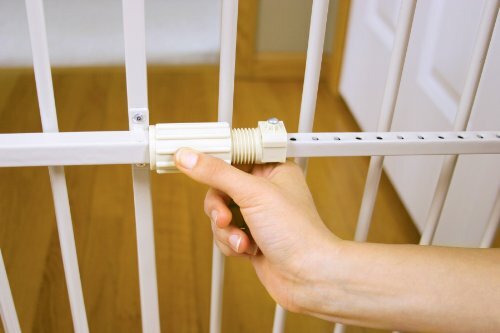 Pressure mounts and locks with the patented Easy Fit Locking System. 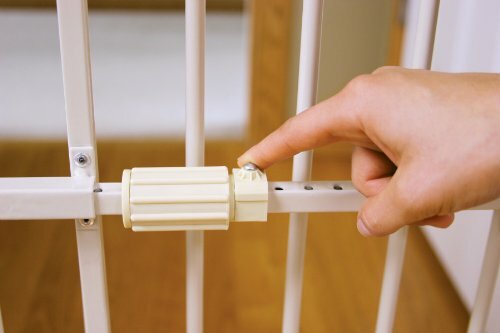 Soft rubber bumpers are gentle on walls and keeps them scuff free. The lightweight compact design is great for travel and storage. Slate size is 1.75-inch wide. 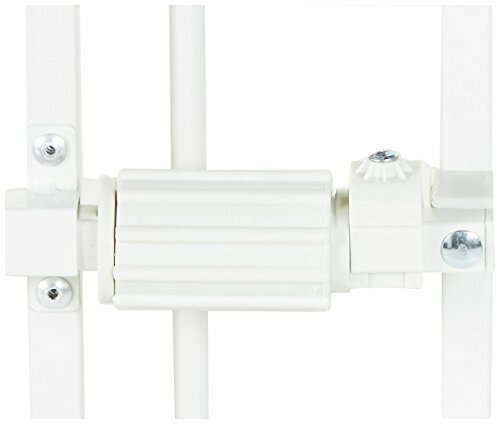 EXTRA WIDE: Expands to stairways and openings between 26-42 inches wide. Stands 32 inches tall. Pressure mount design that is quick to set up. No tools required and is gentle on walls.